It was a long time coming, but Google finally updated its Fit workout app Tuesday with a new look, new goals, and a new points-based motivation for encouraging activity. There's an Apple-like focus on completing rings, and users can earn Heart Points for engaging in increasingly intensive activities. But like the Google Fit of old, the main reason for the app's existence isn't your pocket or handbag, it's your wrist. Changing the name from Android Wear to Wear OS. Requiring developers to adhere to the Wear OS review process. Taken together, it all points to one thing: a Pixel watch. We've already heard rumblings that such a device has been in the works for years, but aside from a few vague rumors this year, there isn't any really solid information on what Google could be planning for the wrist. But it's safe to say something is coming. A Google Pixel watch could be just the thing Wear OS needs to regain some luster. It's been more than two years since Google unveiled Android Wear 2.0, and the current crop of watches leaves much to be desired. They're mostly oversized, clunky, and underpowered. A Pixel watch would, we hope, address all of these pain points. The LG Watch Style (left) looks even bigger and clunkier when compares to the Fitbit Ionic (center) and Apple Watch (right). For one, it's likely to use Qualcomm's new ultra-mobile chip, which is set to be released in September. That alone would make the Pixel watch better than anything else out there, as the current Snapdragon Wear 2100 platform is more than two years old. Google also seems to be streamlining Wear OS. 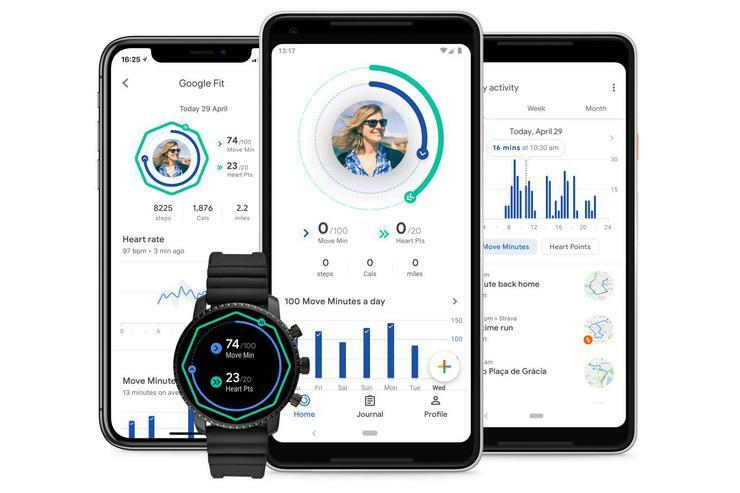 While version 3.0 is still very much under wraps, we can glean a little about what could be in store from the Google Fit update. 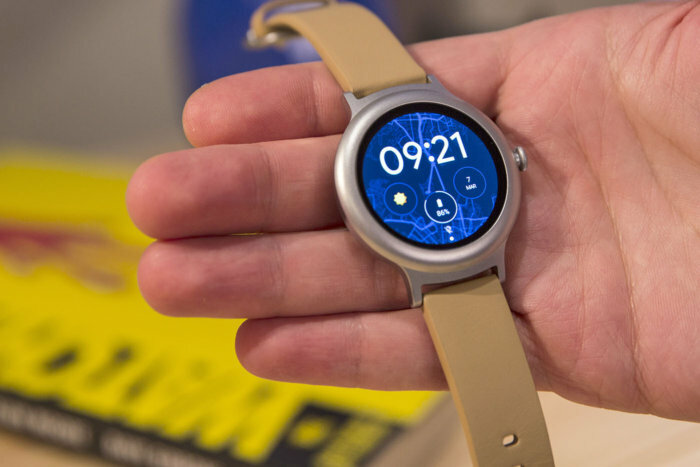 Where the old version of the watch app offered a crowded set of menus and workouts with no discernible home screen or navigation, the new version embraces the circular aspect of Wear OS, with colorful rings and glanceable stats in the center. It's a design that finally embraces the circular aspect of the Wear OS platform with a thoughtful, sensible design. One of the biggest problems with Wear OS has been UI inconsistencies across the platform. The Google Fit refresh—coupled with its new mandatory review program—is a sign that things could be changing for the better. The biggest question we have about the Pixel watch is one that hasn't been answered by any of these rumors and announcements: the form factor. Nearly every Wear OS Watch is a hulking, oversized mass meant for large wrists. 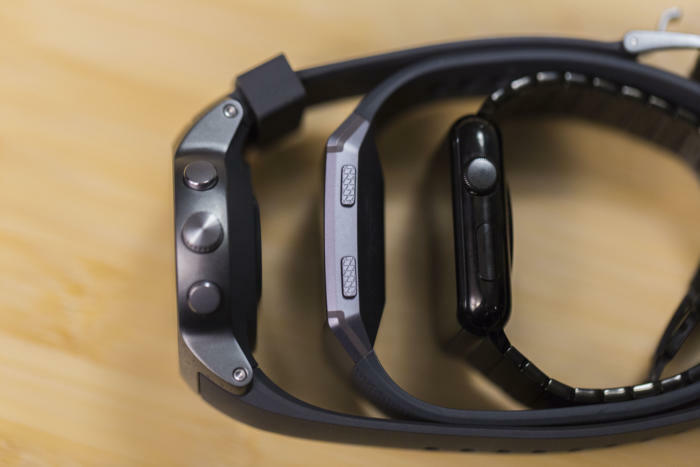 And the few watches that can fit on small wrists are often missing key functions, such as NFC, heart-rate monitors, and GPS. The LG Watch Style is small and thin, but it's not very smart. So it's up to Google to set the tone here. According to German rumor site WinFuture, Google may release as many as three variations of its Pixel watch, codenamed Ling, Triton, and Sardine, so presumably at least one of them will have a sub-40mm frame. If Apple can release a 38mm watch with NFC, GPS, and LTE, surely Google can do the same. I mean, sardines are small, right? But whatever the case, one thing is certain: Google has re-committed itself to its ultra-mobile platform. Whether the fruits of that focus lead to a Pixel watch in October remains to be seen, but there's reason to be hopeful.